Happy August, everyone! Summer is officially in full swing, here in Portland. We've actually been pretty lucky so far this year and have had a fairly mild summer...not quite as nice as last summer...but not terribly hot. That's going to change this weekend, sadly, as it's supposed to get in the upper 90's...ugh! I usually avoid the heat by spending most of my "garden time" outside during the morning and evenings. Of course, this has the dual benefit of not only being cooler, but having the most dramatic light. While I prefer the golden, langurous light of sunset, there is something special about sunrise too. The air is crisper, cooler...and the light seems more "insistent" somehow. 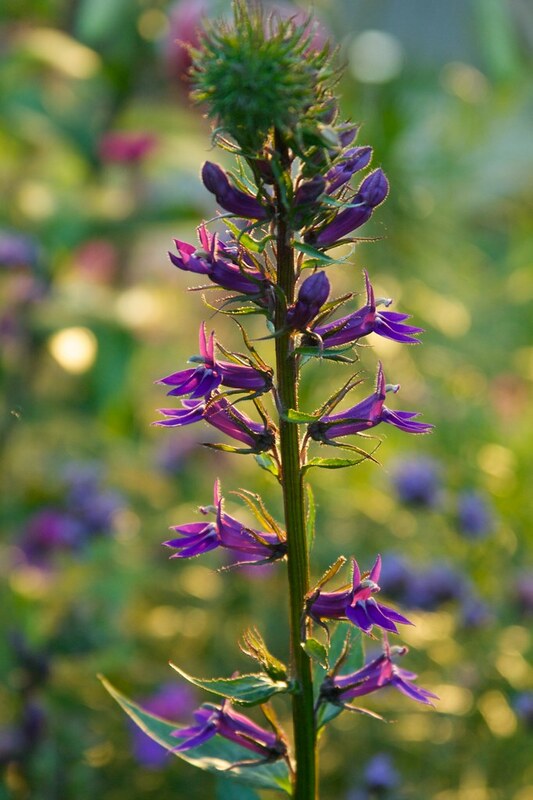 I love how it can change the already-rich purple of this Lobelia into something even more intense! I do love this time of year, as the warm-season grasses really start to strut their stuff. I was super excited to see this Pennisetum 'Red Head' already blooming this week...a full 2 months earlier than the similar 'Moudry'! 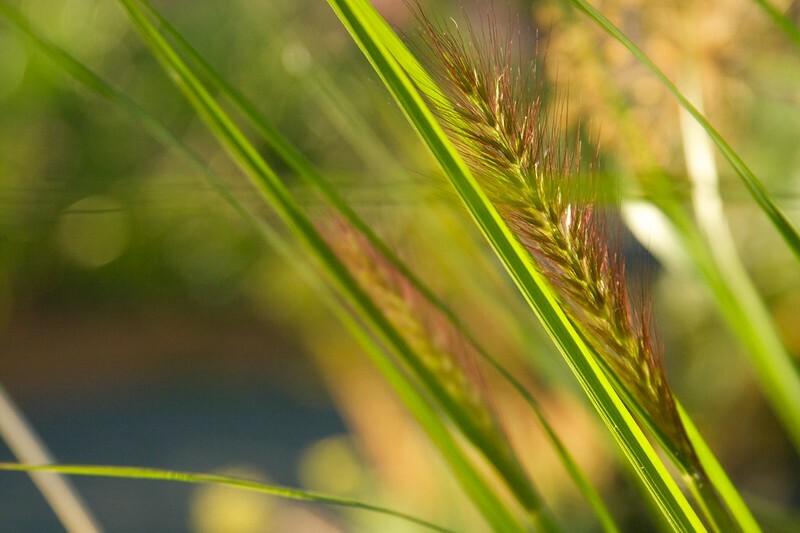 There's nothing to equal grasses for catching light and movement in the garden. 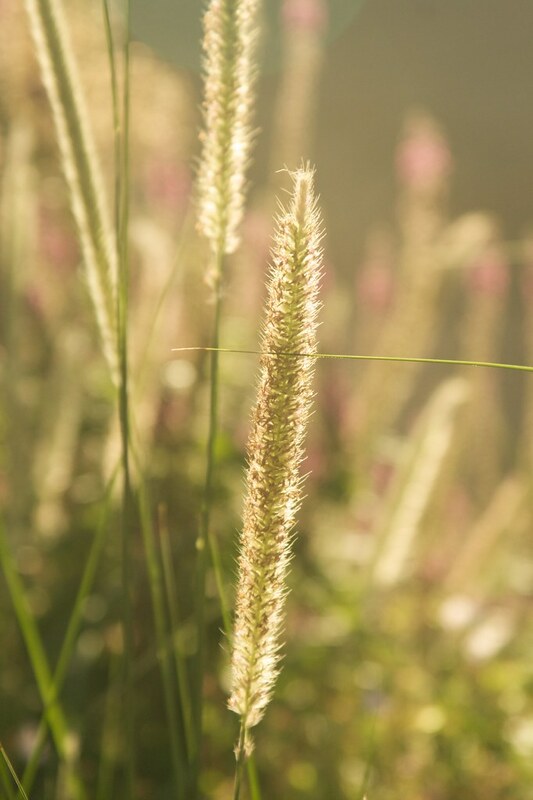 Even though there are 2 months of summer left, the emerging blooms of all the grasses make me think longingly of autumn. Another plant that looks amazing backlit...that spiny cone catches the light so perfectly! Another grass and the wonderful, spherical flowers of Echinops...which I always marvel at...they seem too perfect to be real, somehow. 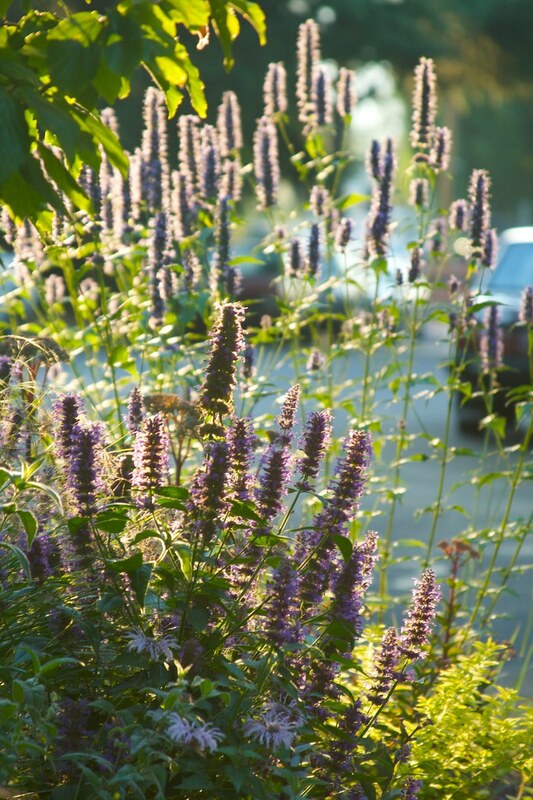 Agastaches are amazing backlit...their flowers seem to radiate an inner fire. 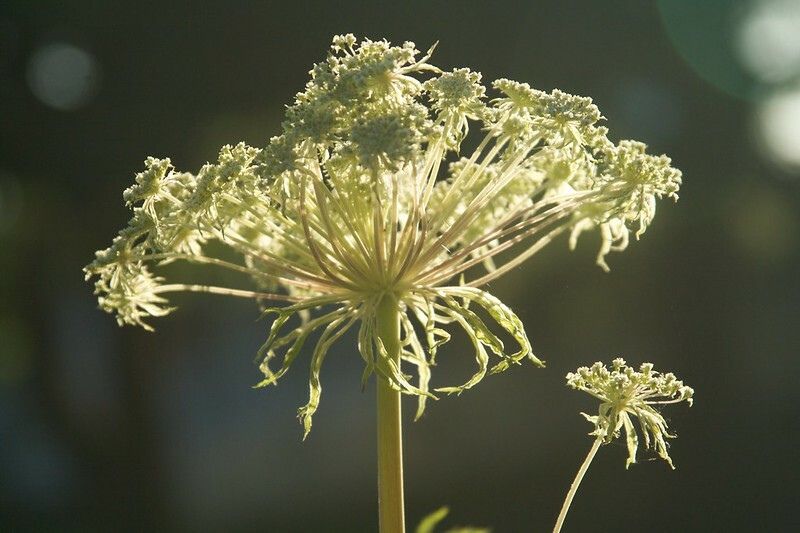 I'm a sucker for a good umbel...and Selinum isn't just good...it's GREAT! And I leave you with another grass, Pennisetum macrourum, a new grass I planted last year and just love. Photos don't do it justice. 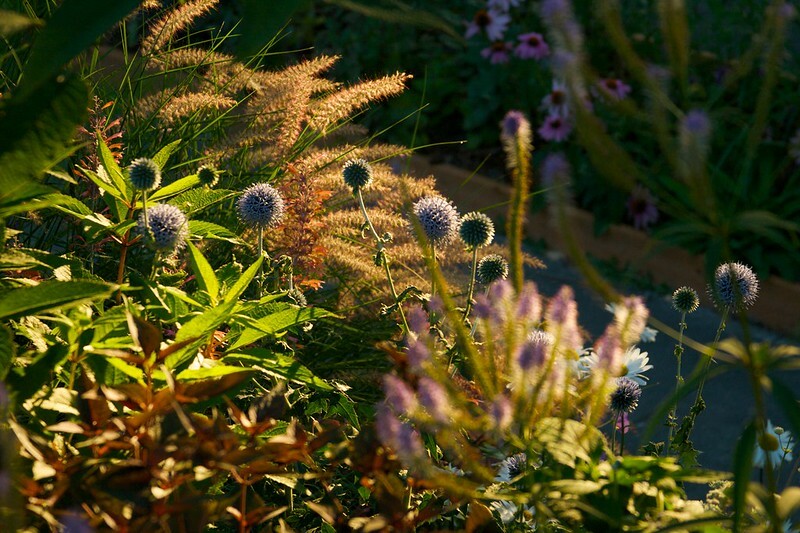 How about you...what's your favorite time of day in the garden? Love your photos, that early morning light is super for taking sparkling photos. Way to go Scott! IF I got up early and went outside, early morning is a nice time to get pictures here as well. Late evening it has been so hot still, looking forward to some cooler weather. Thanks, Janet! Yes...I agree, when the weather heats up, I rarely go outside at sunset...it's just too much! At least Autumn is just around the corner! Lovely to see more of your garden; it really is looking superb at the moment! Thanks, Gwirrel...it's right about at it's height, that's for sure! Thanks, Pam...I love the Selinum too...it's just so statuesque! So envious of your Agastaches, why do mine look so awful ...ugh. Amazing Scott! Your photography is superb. You make Rudbeckia 'Goldsturm' look brand new. I need to get it again! 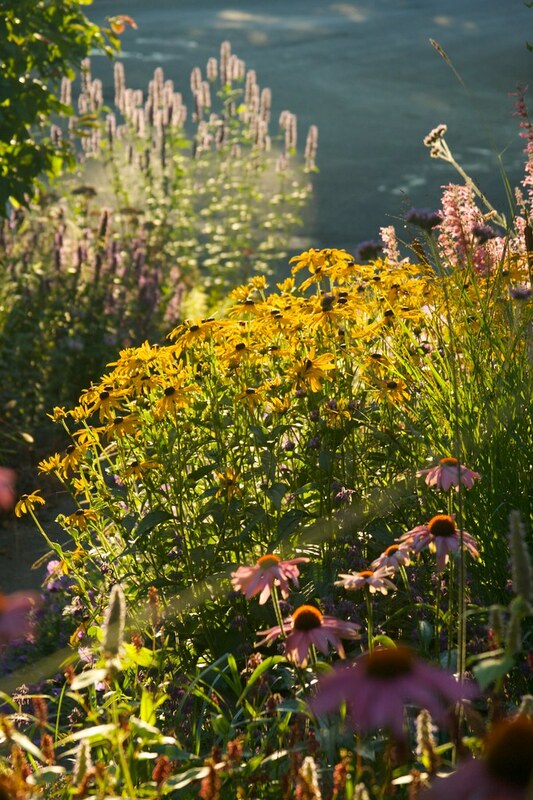 I also love echinaceas, rudbeckias, and agastaches. And I don't care how "common" the rudbeckias are. Your pennisetums are fantastic! I agree, Jason...love 'em no matter how much others poo-poo them...they are classics for a reason! My favorite time is anytime the sun is shining, although I might need to be reminded that I said that when it's 97 degrees on Saturday! Fabu pictures...just one question...we're you wearing your pj's when you took them? Happy August to you too! Garden is looking lovely and superb photography!! Some great photos you got of everything. At least you still have lots blooming. Hope it doesn't start burning up with lots of 90 days. Good luck. OMG, you and me both, Cher...I'm not looking forward to the heat...at least it's only supposed to last for a few days! Early morning is my favorite time of the day. Just a half an hour or so when it's no longer dark but the sun has not come over the horizon. Perfect! 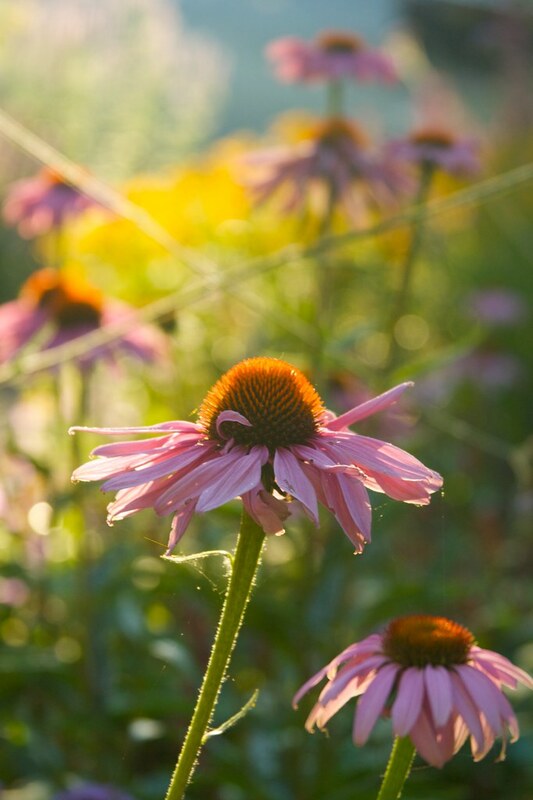 Love the Echinacea 'Magnus' shot! Good morning! Isn't it just a magical time of day...I love that feeling that the day is fresh and new...and everything seems so revived! Just beautiful Scoot. What great pictures of the sun filtering on on your lovely flowers.Gorgeous ! Have a wonderful weekend. I love wandering the garden in the early morning with a cup of coffee. Everything is so peaceful and fresh looking. Lovely photos, as always. I have said it before, but your photography is beautiful. I especially like the Magnus photo. I like morning in the garden and late afternoon, one with coffee and one with a different adult beverage. In mid-summer, I like my garden best in the early morning, before it gets too hot. When it's not too hot, I love the sun-dappled shade that blankets my backyard and gardens, especially if it's breezy, because then the sunny spots shimmer like jewels! Your pictures are always so beautiful, Scott, and I always learn something from your posts! I particularly like the lobelia in this one. Ahhh...exactly, Kimberly! It's not only beautiful, but thoroughly refreshing! I hope you find some of that Lobelia! Fabulous Scott ! I swear next time I'm in Portland I'm going to beg a visit. ! LOL Scott. Your comment on my blog made me laugh. Except that you ARE finding time to blog! 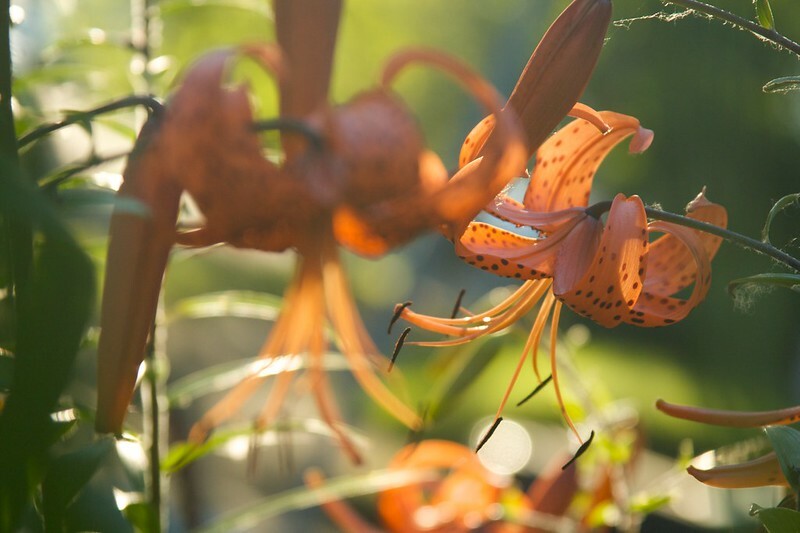 Things are looking exceptional in your garden. Hahahahaha...well, I try to...I'm amazed at people who are able to blog every day...sort of puts me to shame! My favorite time is early morning, cooler, good for photos. Your grasses and agastacche look marvelous so fresh, no 100 degrees there. Oh, sorry you had to join the club (heatwave). As usual, I'm spellbound by your photos! I know...at least it was short-lived, we're back in the 80's now...and it is such a relief! I'm all for watching the sunrise. We are expecting 90Fs this week. There goes the water bill (up). :( Your garden looks fabulous--the 'Karly Rose' grass is awesome! YIkes...I know the feeling! I felt a little guilty at how much I watered! I love you way of photographing plants. I cannot stop looking your posts! Definitely not a morning person, but you may have inspired me to give it a try. Thanks for pointing out the difference between early morning light and evening...I always thought they were pretty much the same, just coming from different directions. Hahahaha...I don't know if I'd say I was a morning person...but now, unfortunately, it's just habit to wake up early for work. Amazing photos!! I love the way your photograph plants. Makes me think I should bring my camera with me when I go out and water in the morning.